If you are getting 8 hours of sleep per night your are spending 1/3rd of your life sleeping and either incorrect postural alignment or hurting your spinal position; we can't begin to tell you how many of our Georgia and Tennessee Chiropractic patients improve their Low Back Pain and Neck Pain when they use simple tips to change their sleep position for the better!! Here are some simple tips to put you into the right sleeping position so you can begin to improve Nagging Neck Pain and Low Back Pain. One preferred sleep position for the human anatomy is to sleep on your back; this contributes to facilitating a neutral spinal position. This means no extra pressure on the discs of your spine! According to Dr. Decontee Jimmeh, a neurologist in Alabama, if you have Acid Reflux, lying on your back means the head remains elevated, and the stomach can sit below the esophagus, making it less likely for digested substances to come back up, this will drastically reduce reflux symptoms during the night. Sleeping on your side is beneficial for patients who have obstructive sleep apnea, prone to habitual snoring, have Neck pain and Back pain, and for those who are pregnant. Sleeping on your side is helpful by mechanically opening up a crowded oropharynx (the middle part of the throat), it allows the lungs to expand fully and contract in both directions and helps facilitate the proper motion of the diaphragm. Also, as an added benefit, it elongates the spine, which helps back pain by creating a natural decompression. Sleeping on your stomach is never advised because it doesn’t support the natural curve of your spine, leading to overarching. Stomach sleeping also places abnormal pressure on the facet joints in your spine and muscles that can lead to back pain, neck pain, numbness, and tingling. It forces your neck to be in a rotated just so you can breathe (Breathing directly into your pillow will lead to worse problems, suffocation is not a good strategy:)), compromising your breathing, circulation and nerve integrity. Stomach-sleeping could be beneficial for those who snore as it does help keep the upper airways more open but if you just take a side position, you can get the same benefits without the Neck Pain and Low Back Pain. 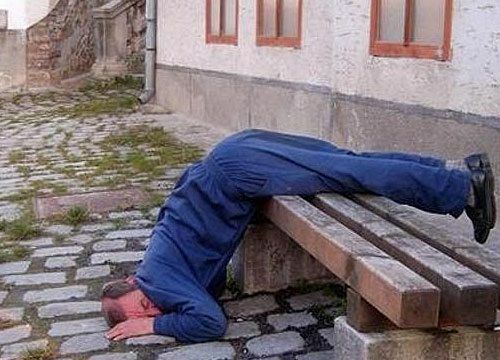 Regardless of how you sleep now there is always room to improve your sleep position, to improve your posture. If you currently sleep on your stomach, make a change; use pillows between your knees or hug a body pillow to prevent from rolling over. If you need more information about sleeping properly, or you are having progressive Back Pain and Neck Pain symptoms, it might be best to see a professional Chiropractor Near You. If you are in Georgia or Tennessee, you can visit our Back Pain and Neck Pain Chiropractors at many locations for a Free Consultation. Follow this link to find the closest near you or click the link below to schedule your Free Consultation today! Sleep Well, Recover Well, Live Well! !